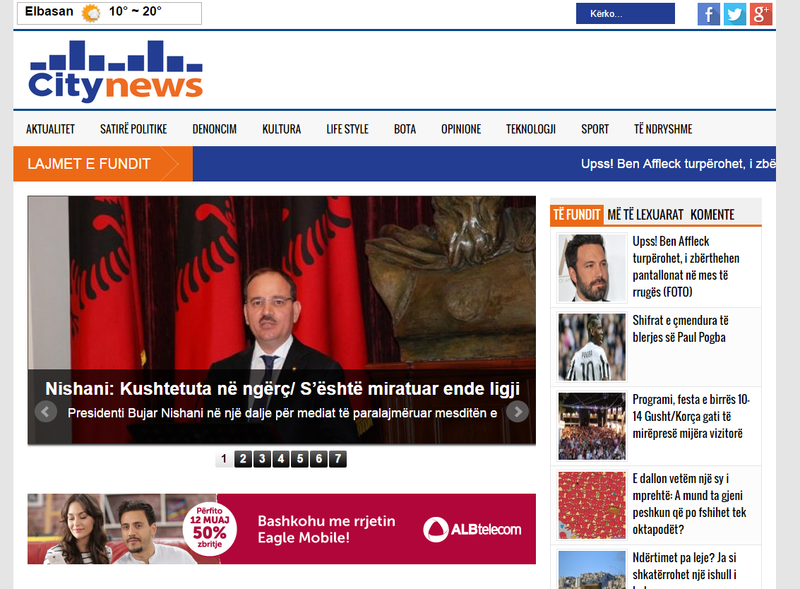 Ndertimi i website citynews.al nje portal infomativ. ©Copyright 2016 Medium.al. All Rights Reserved.